Thirty is looming ahead my friends. I can’t believe it’s almost September! I meant to write this post in July, the halfway point of my year of the 30 by 30 list, but I just didn’t get to it. The summer flew by in a blur of stress and busyness, and I’m ashamed of my lack of blogging. But I have been able to chip away at the list. You can keep up with the full list and updates by going here. So far I’m chipping away at things quite nicely. About 10 items are completely finished and several are ‘in progress’. Even more have a concrete plan in place that should lead to me accomplishing them before January 22nd. I’m honestly having a blast with this list. I’ve always loved to do lists and goals, but this list has taken me to a new level of truly living life intentionally and with purpose. There are so many adventures to be had, so many new things to experience and so many memories to be made. Here’s a recap of some of the most amusing, thought provoking and fun moments of my list so far. Driving a Stick: I thought I was going to kill myself, my brother and my husband. As Casey instructed me how to put the car in gear and shift, I muttered a four letter word that was caught on video by my husband. Sadly (or conviently) this video was deleted from Brent’s phone, so there’s no proof. I sputtered and abused that little car and had the customary ‘crap how am I going to get up this hill’ moment and found myself hearing my brotherly calmly say “go to second….. no, that’s fourth….. second Emily, second…… and we’re stalled.” I consider it accomplished, even though Casey insists on another lesson before he’ll concede that I can check it off my list. Leaning to Surf: I strategically planned our long weekend vacation so I could accomplish this one. St. Augustine Beach is named one of the top ten places on the East Coast for surfing, and it’s driving distance from Atlanta. I was really excited about my lesson and was sharing it with my husband’s family on a stopover down to the beach. Someone then made casual mention about shark attacks, and then I felt the anxiety creep in. So to be honest, I was a little nervous on the lesson day. I was even more nervous when one of the surf shops I called to make a lesson called me back the day of to inform me that they were canceling lessons because the conditions were too rough. Red flags, choppy, rough waves and intense wind greeted us as we arrived at the beach. Lest you think I’m exaggerating, I’m not. Brent can vouch for me. I took a deep breath, tried to push my fear and foreboding aside, and focused. After about 45 minutes of being beaten around, I was up! And up again, and again, and again! It was incredible. I can’t fully explain the feeling of being caught by that first wave. We were all cheering, and my instructor said that she was surprised I was able to catch as many waves as much as I did. 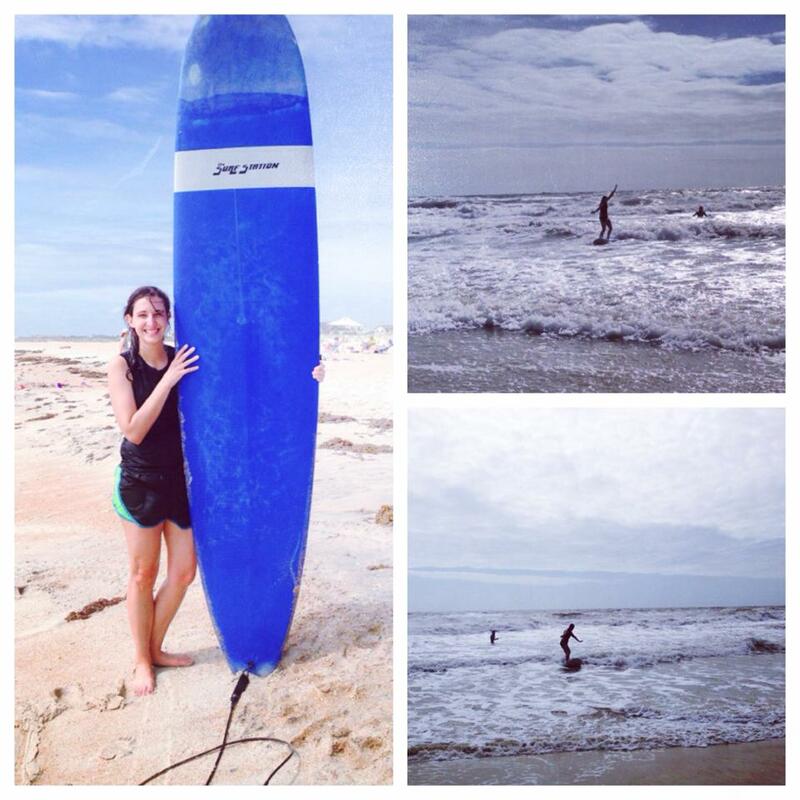 No sharks, no major injuries (just some awesome rug burns from wiping out), and no regrets. I’m hooked. Stress relief at its finest: I rediscovered some stress relievers and discovered some new ways to relieve stress as well. First of all, massages. I had my first massage, and I had NO IDEA what I was missing out on. Can that be a regular occurrence, please? Also, I rediscovered a bit of escapism I went to often in my younger years- fiction. I love a good story, and I used to spend much time getting lost in good fiction. On my list was to read and watch the Harry Potter series. For the past month, I let myself get engrossed in this series. First of all, why has it taken me so long to read these? Amazing literature, I couldn’t put the books down. And honestly, I think the escape of these books got me mentally through parts of July and August, as it’s been a very busy, exhausting, and stressful few weeks. I was able to come home and disappear in the world of Hogwarts. 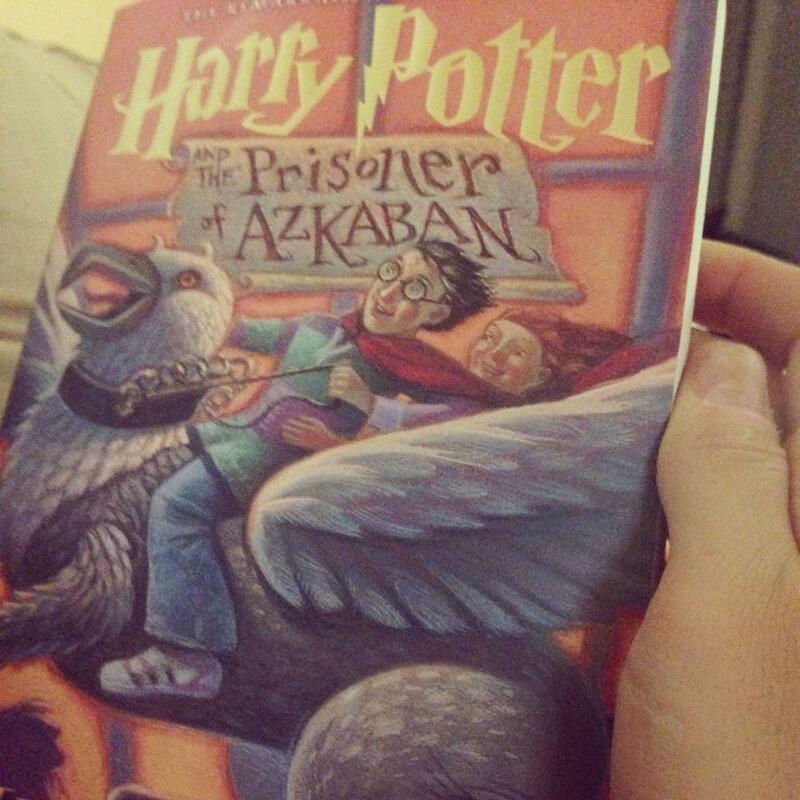 At 2 am on a Saturday night when I finally closed the Deathly Hallows I was sad to finish, but happy to have completed reading one of the most iconic series of my generation. And one more stress reliever to mention- the art of being alone. I’ve never been one to be comfortable in being alone. I always feel anxious and self conscious when I’m by myself in a public place. So, I faced that uncomfortable feeling while on a work trip to Portland, Oregon. I had a whole day to myself. I dropped my luggage off at my hotel and set off to explore the city on my own. I spent hours in a bookstore, not worried about holding anyone up as I walked down every aisle. I ate truffle fries and a veggie burger by myself at a restaurant. I explored shops and neighborhoods, not worrying about what others were thinking. It was actually quite nice, I may have to do that again sometime. 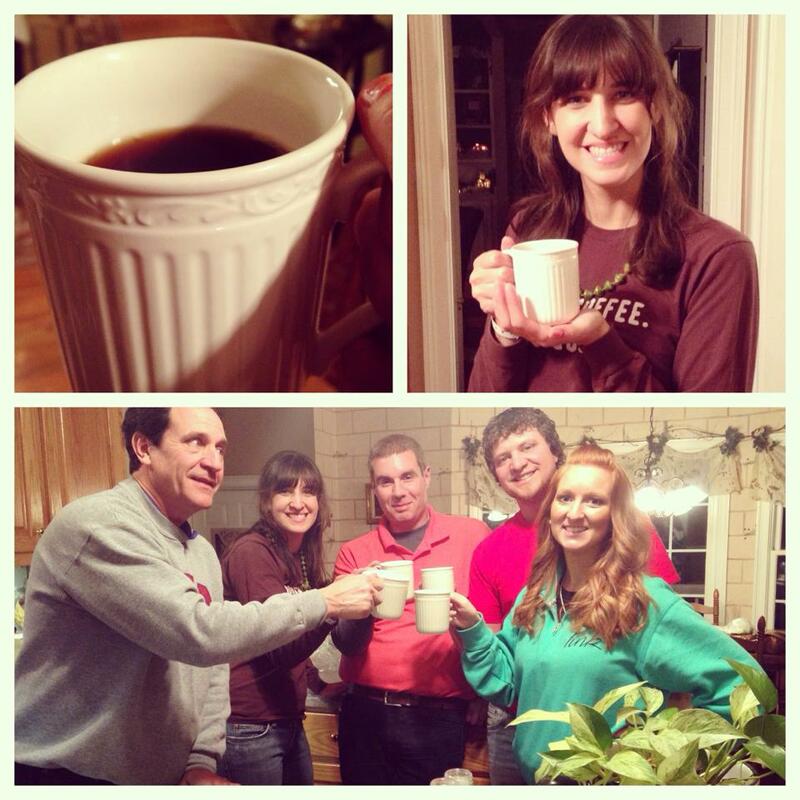 The Family enjoying our poop coffee. Other things to mention: This post is getting a bit long, but I can’t go without mentioning the day I was able to get nearly everyone in my family to drink the infamous ‘poop coffee’, Kopi Luwak. At the start of our tasting session, I had two people willing to try, but by the end of the night nearly everyone had a sip. Later I took the rest to work and had a nice Friday afternoon tasting session with some colleagues. It is divine coffee, it truly is delicious. I took Brent to a shooting range for his birthday and learned to shoot our gun, jumping slightly every time I pulled the trigger. 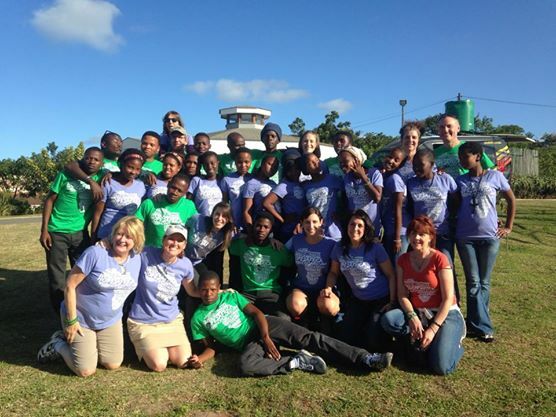 I went on a mission trip with my mom, and could write dozens of posts on the impact of that week. I nearly threw up after riding a legit roller coaster at the Animal Kingdom (don’t naysay, it was legit for me!). I’ve explored several new cities and still have a few more to explore.